Of course, Christmas is always in December, however, for some reason my friend just said this out of the blue and it made me chuckle. (I have a strange and simple sense of humor...). Christmas in December was a lovely chance for two of my friends and I to get together and have a dinner party sleepover... (You're never too old for sleepovers). 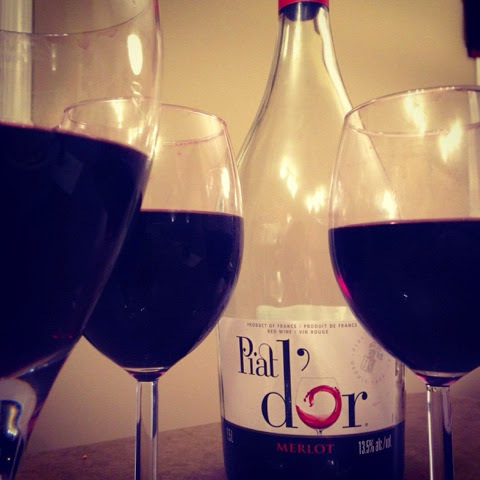 The highly recommended Piat d'or Merlot... must buy 1.5L.